A significant number of Australians are employed in two of our most dynamic service industries – hospitality and real estate. The Australian Hotels Association notes that there are over 270,000 people employed in the hotel industry across the nation, while the Real Estate Industry of Australia notes 35,000 real estate businesses were in operation at the 2013 census. While the two industries are clearly distinct from one another, they have one common HR element – high staff turnover. Hospitality experiences higher staff turnover than most industries. Improving employee retention can have huge financial benefits for your business. Nicholas Barnett, CEO of Insync Surveys, notes that reducing turnover by just 5 per cent can save employers an average of around $280,000 per year. Often employing many young people in somewhat transient roles, the hospitality industry experiences higher turnover than most – as high as 55 per cent, according to Hospitality Recruitment Solutions. Alongside this challenge, businesses must also adapt their WHS policies for a younger, more casual workforce. 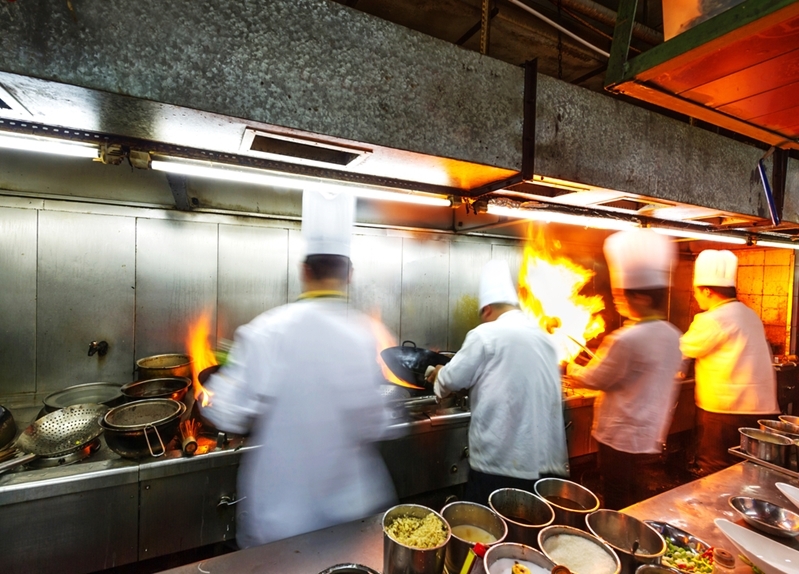 Hospitality businesses must adapt their WHS policies for a younger workforce. The real estate industry also grapples with skills shortages and employee retention. Experts in the sector have suggested that the steep learning curve and high-stress environment may be difficult for newcomers to adapt to, leading some to question their future in real estate. “There is a gap in learning between the theoretical legislative training newcomers undertake to get their registration and when they are actually hired,” Jo-Anne Oliveri, managing director of ireviloution intelligence, told Residential Property Manager. With the property industry booming in recent years, Hays Recruitment reported emerging skills shortages in the sector in 2015, a factor not helped by high turnover. The workplace stress for real estate agents can be high. What can businesses do to combat these retention problems and HR issues? Insync Surveys’ research suggests that organisations have the means to turn the tide on up to 80 per cent of staff turnover. Providing a working environment that remains attractive to your employees is the first step. A supportive and engaging culture provides greater satisfaction, while offering development opportunities and paths of career progression can reinforce the value of longer tenure. Adapting your processes for a younger, often more casual workforce is critical for hospitality especially, providing an environment that suits their lifestyle and encouraging them to stay. For real estate, if you find many employees struggling to develop due to a steep learning curve or skills shortages, devise a support and training strategy to ensure they have the ability to progress. Identifying factors such as workplace stress – and implementing solutions to manage it – will help to build a strong culture. Promote awareness of mental health issues in the office and open channels for education and guidance to support that. Strategies to improve employee retention in the hospitality and real estate industries – or any other – can ensure a more satisfied workforce and solid performance.